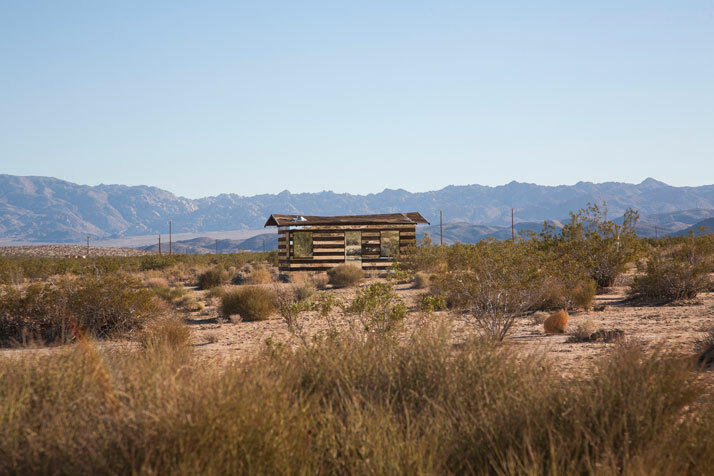 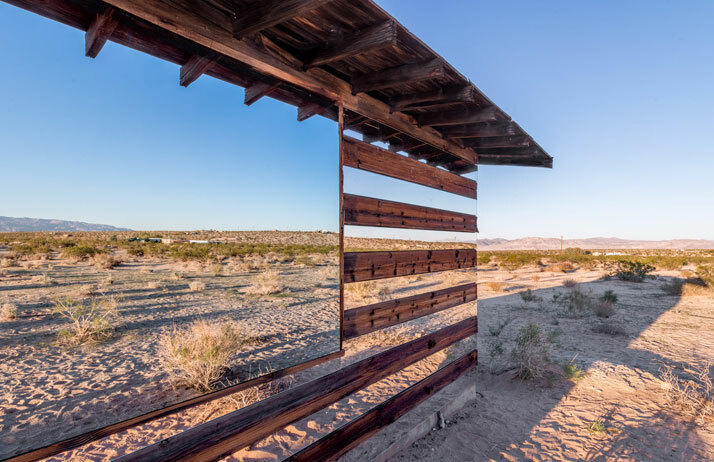 PHILLIP K SMITH III : Lucid Stead, photo by Steven King Photography. 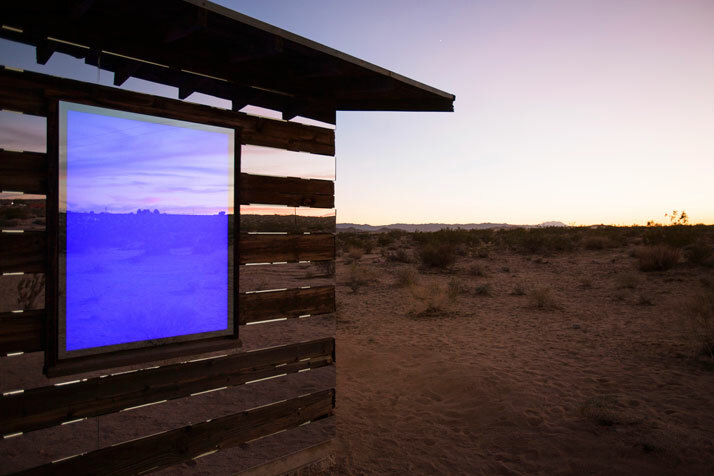 Courtesy of royale projects: contemporary art. 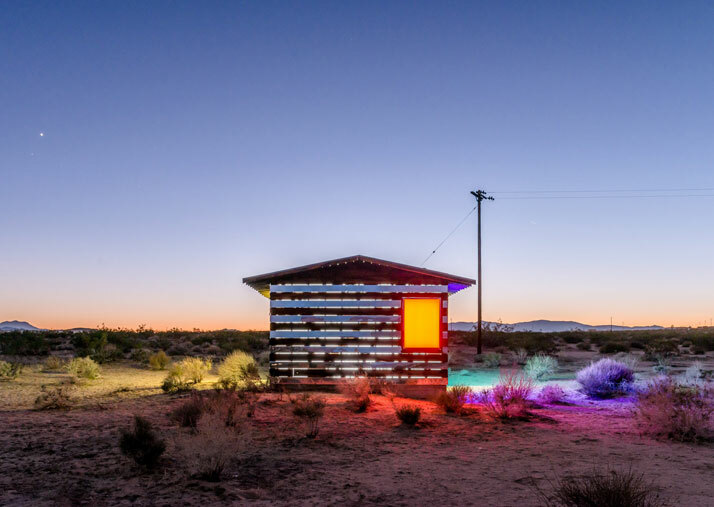 Phillip K. Smith III, an American artist based in Indio, California, has recently completed a stunning light installation in the middle of the California High Desert, near the small town of Joshua Tree. 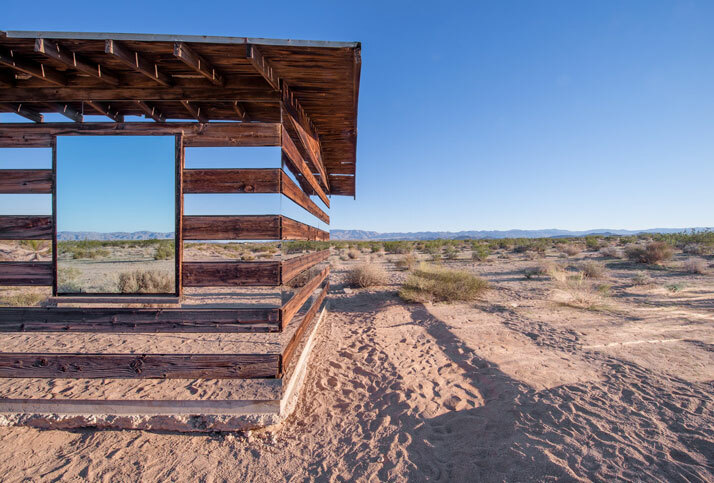 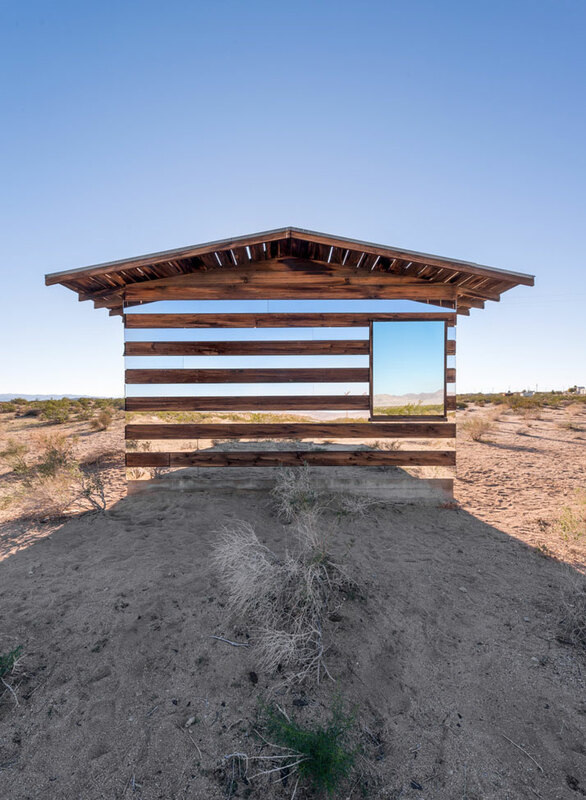 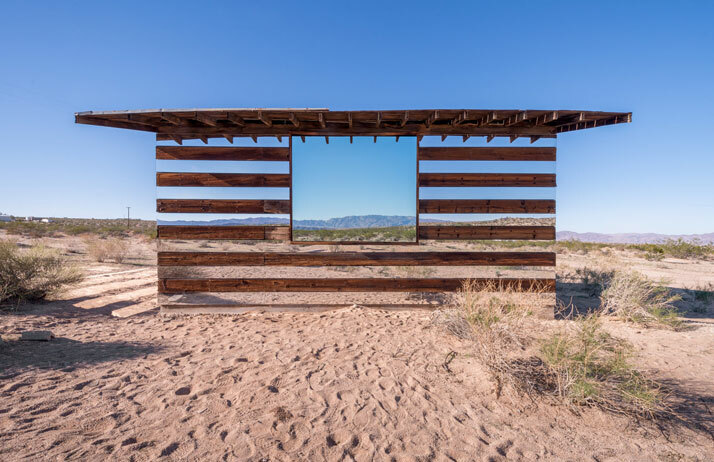 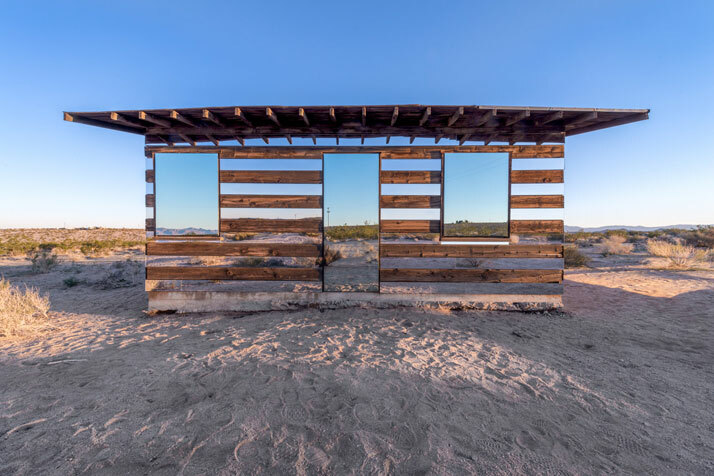 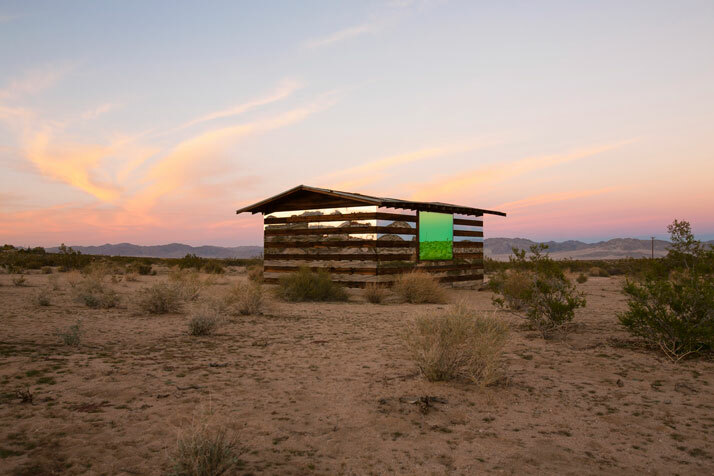 Titled ''Lucid Stead,'' the work is actually an artistic intervention on a 70-year-old abandoned homesteader shack that plays with the concepts of light and shadow, reflection, projection and change. 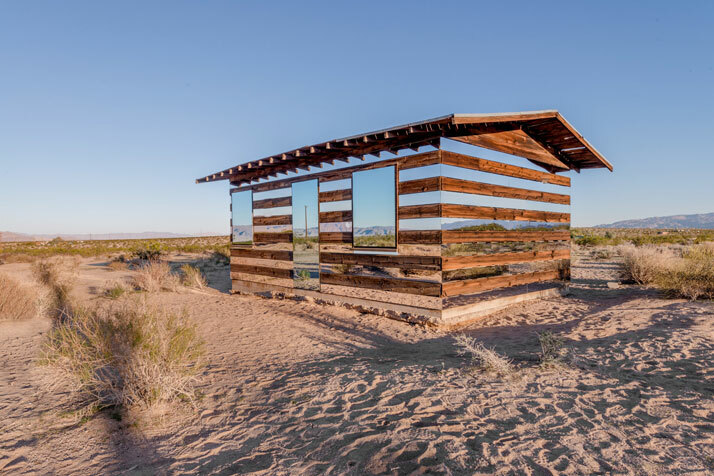 During the day, the structure reflects its surroundings through mirrors placed in both the shack’s openings and some of the boards on the walls. 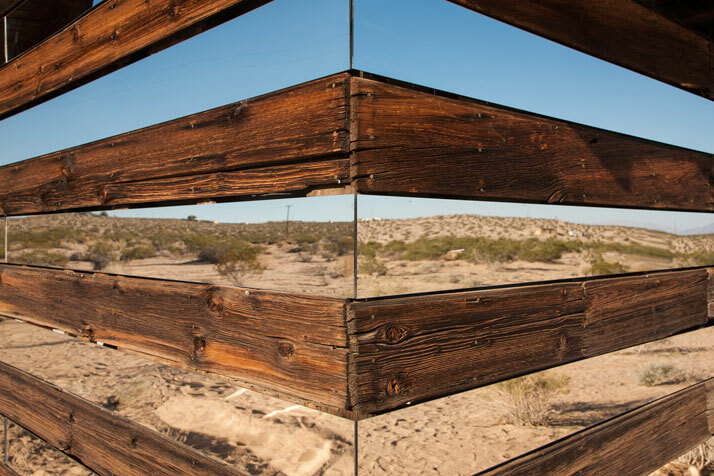 This acts to create an optical illusion of transparency, while at the same time transforming the desert into a material in its own right. 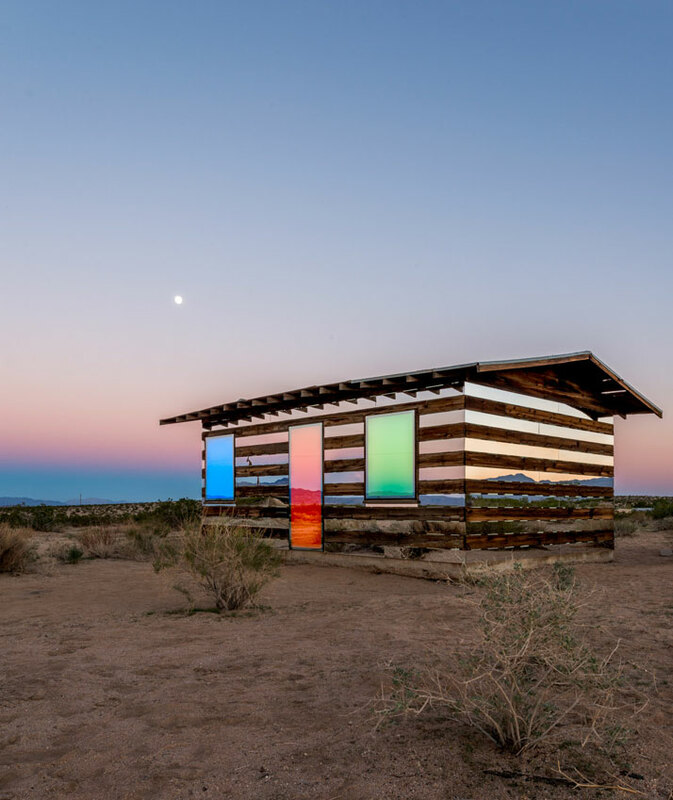 As the sun sets, light gradually begins to emanate from the shack, with the door and windows transforming into solid-colour blocks that change from one colour to the next at an almost imperceptible pace. 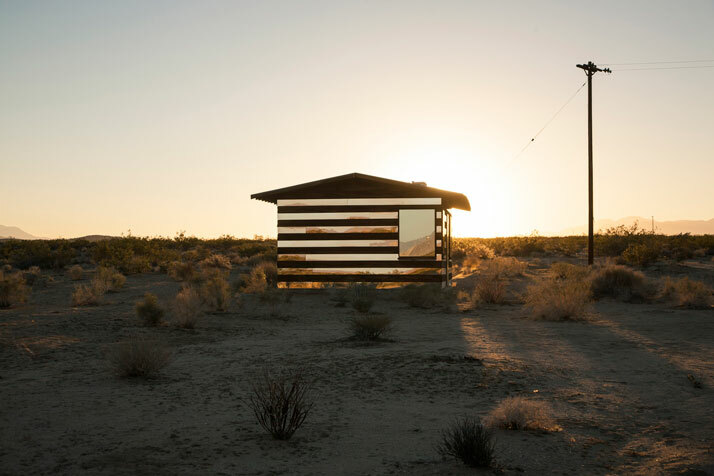 Interior white lighting seeps through the cracks on the walls, revealing the internal bracings and the shack’s supports. 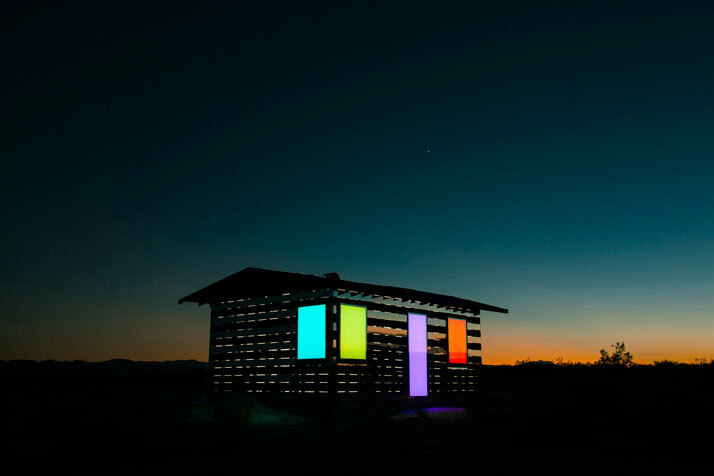 The installation plays beautifully with the concepts of receiving and transmitting: what during the day is a passive reflective object, at night becomes a dynamic illuminating presence that projects itself outwards in bold, bright colours. 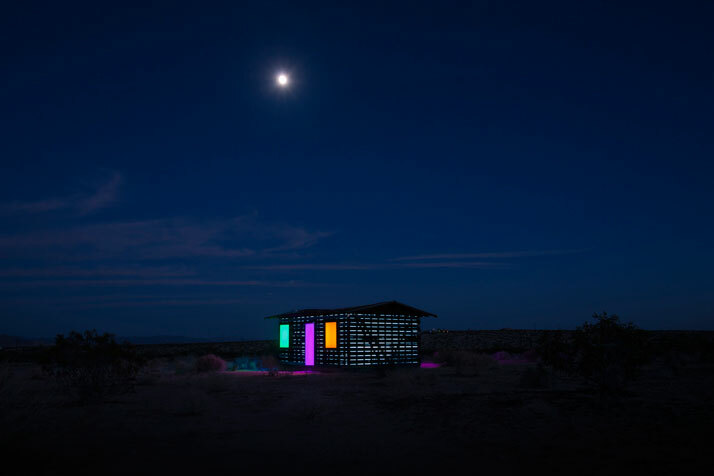 [YatzerTip]: Don’t miss Phillip K. Smith III’s upcoming solo exhibition opening on 29 November 2013 at ‘‘royale projects: contemporary art’’ gallery, 73190 El Paseo Palm Desert, CA.